Ayana Corbin is a native Bostonian, and after a very long stint in New York is now learning how to call the San Francisco Bay Area “home.” She relocated to the Bay to join Google where she has had roles in Talent Acquisition and People Operations (what most companies refer to as “Human Resources”). Previously, Ayana worked at Accenture where she held a number of roles including an assignment in Kuala Lumpur, Malaysia and a role where she increased the number of underrepresented minority MBA interns by over 200%. Ayana is passionate about the work she’s done in the Diversity and Inclusion space - and is privileged to have worked for companies that are D&I leaders and share her values and mission. Ayana is a graduate of the Boston Latin School and is a proud alumna of Spelman College where she graduated Phi Beta Kappa. Her alma mater is one of her favorite topics of conversation (Brooklyn is a close second). 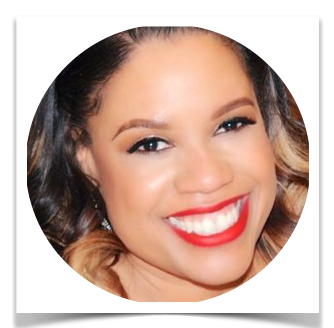 She is a former President of the New York Chapter of the National Alumnae Association of Spelman College and is a recipient of the chapter’s Shooting Star award. An avid traveler, Ayana has visited six continents and looks forward to crossing Antarctica off her bucket list! Ayana mentors teens and volunteers at the San Francisco Child Abuse Prevention Center. She is a member of Delta Sigma Theta Sorority, Incorporated, the Junior League of San Francisco - and is one of the newest members of the Imani Community Church of Oakland. Ayana is a daughter and a sister and cherishes the time she can spend with her close-knit family. She hails from a long line of dynamic working women and is honored to continue that legacy as a working woman who celebrates self worth and the worth in others!